Instead of posting to Facebook post as part of a promotion for another piece of content, it is possible to post directly to Facebook as a Primary Post. 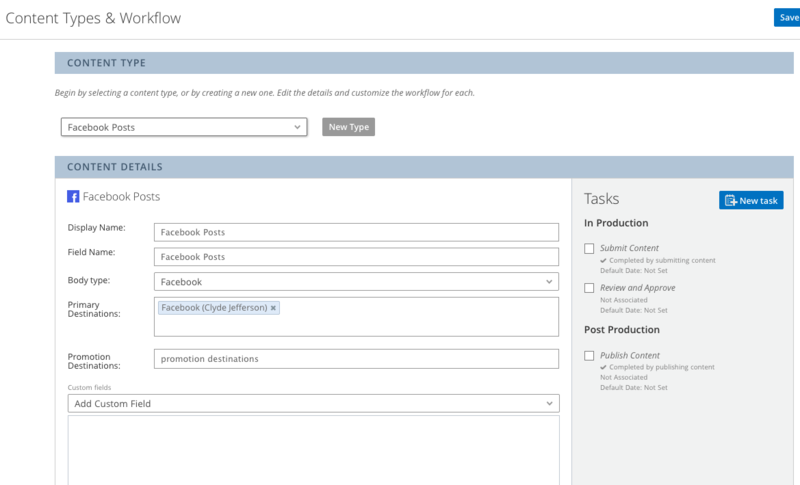 To do this, you need to set up your Facebook post in Settings -> Content Types and Workflows. This content type must have "Facebook" as its body type. Hook up any Facebook page connected in your App Center as the Primary Destination. 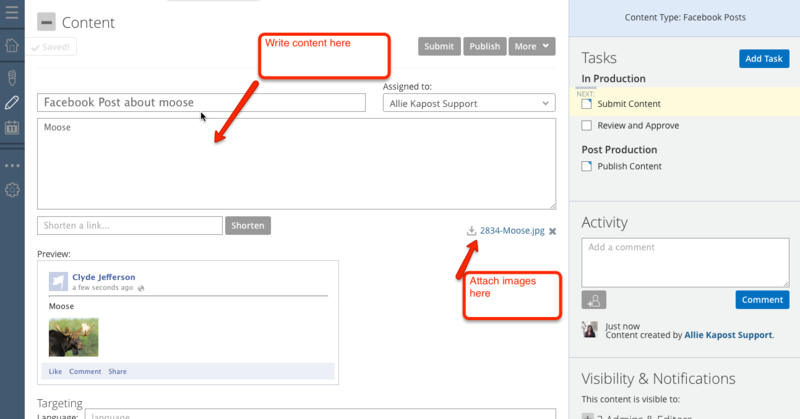 Create your Facebook post - you can add content, a photo, or a link. 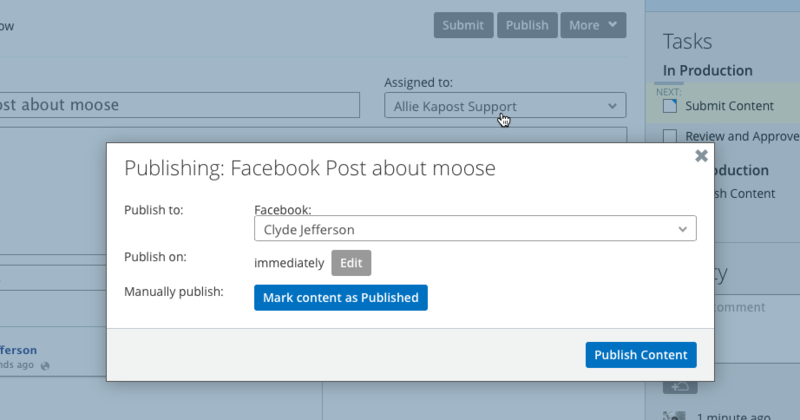 Almost anything that you can post to Facebook through Facebook, you can post through Kapost. The one thing you can't post through Kapost is an album, though you can post individual photos. It is also possible to use Facebook targeting on a Primary post - note this is not possible on a promotional post. You can target by language and by country. The targeting section is located right below the body on your post. When you publish, you will be given a dropdown with a list of pages you can post to (if applicable). Choose the page you wish to post to, and click publish. Your post is now published! Please note, if you wish to republish your post, it will appear as a second post on your instance, not as an update to the original post. If you have any questions, feel free to contact support at support@kapost.com.